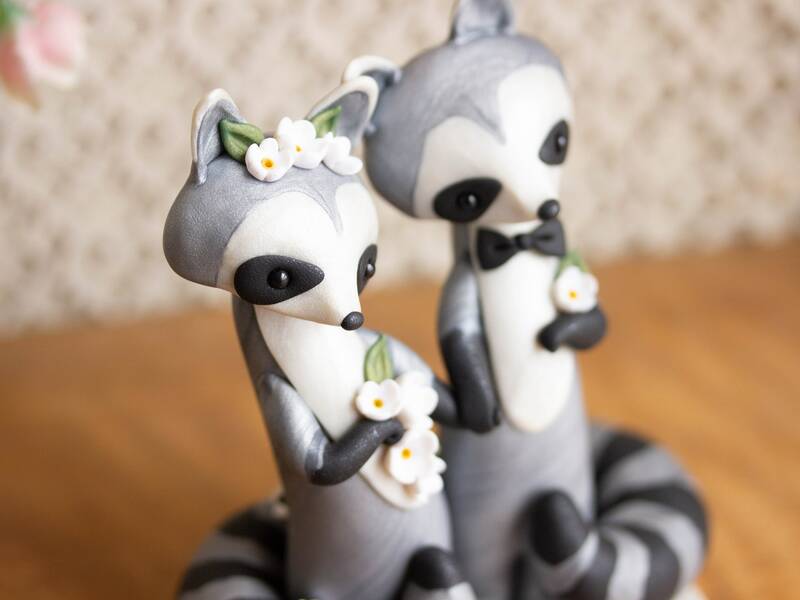 This one-of-a-kind, handmade, keepsake Raccoon Wedding Cake Topper features a pair of Raccoons adorned with white flowers. 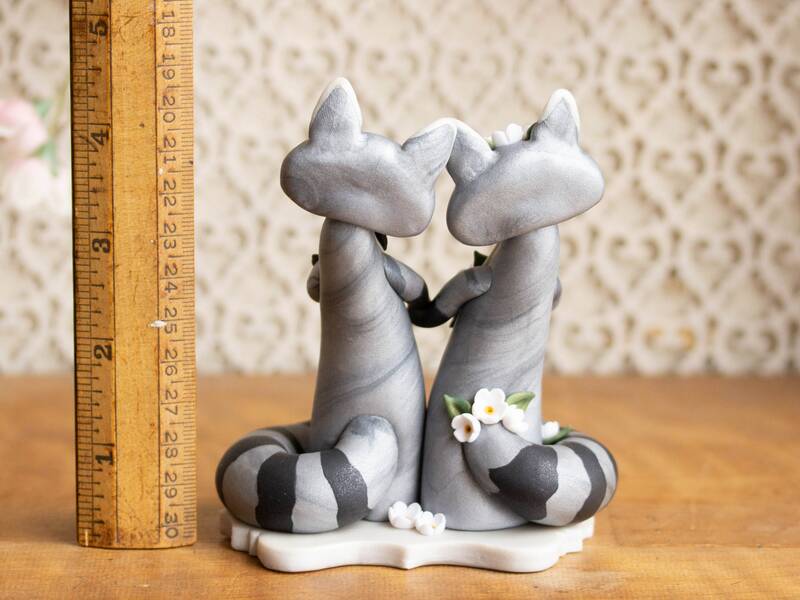 Their full, striped tails curve mourned them and they are holding 'hands'. 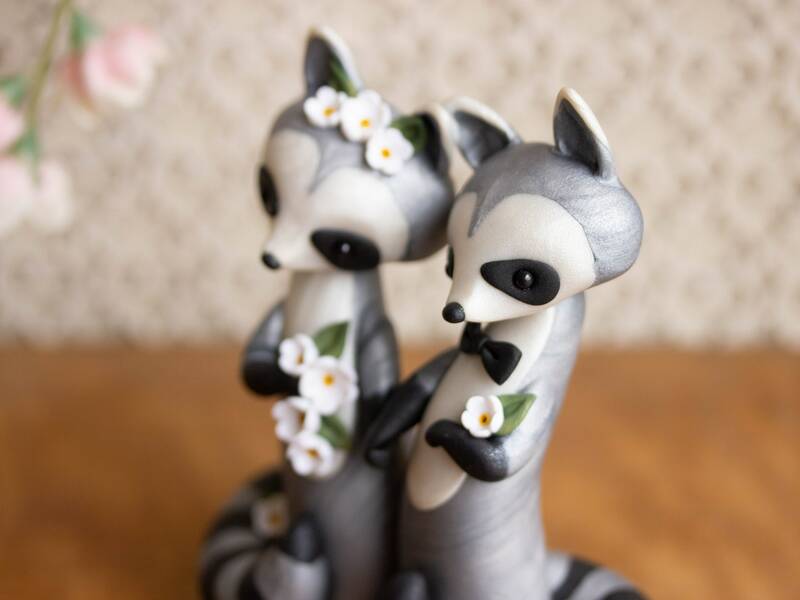 I sculpted them with a custom-blended polymer compound that has a subtle sparkle and marbling. 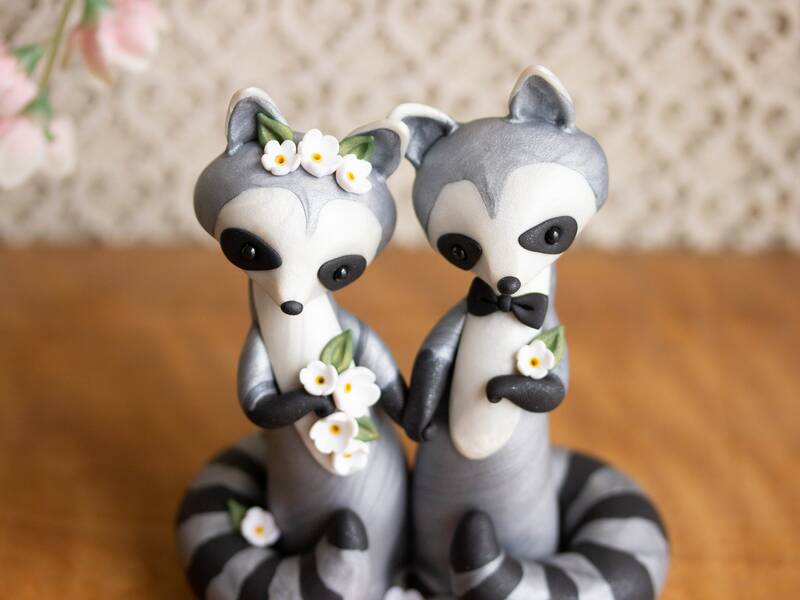 Their eyes are Swarovski crystal pearls and they stand on a pearly white base at just over 4-inches tall. 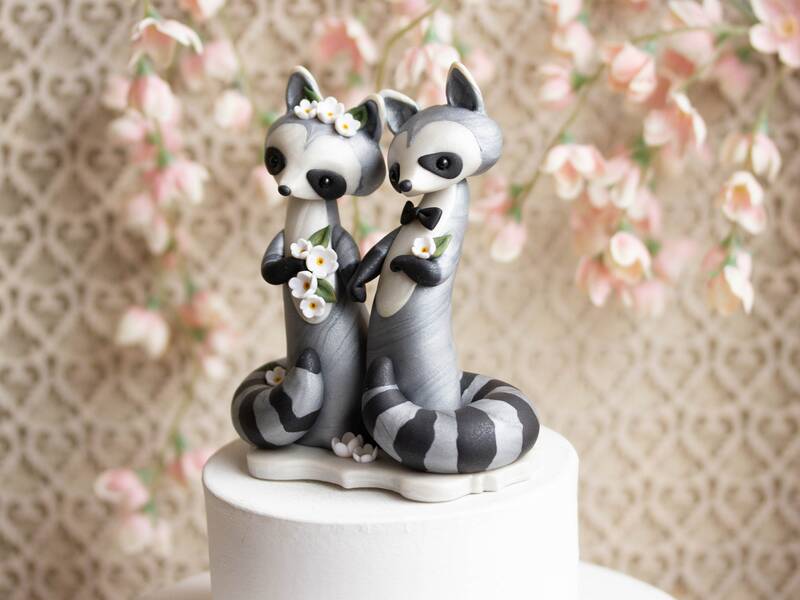 If you would like a similar pair, but with colored flowers, two brides, two grooms or gender-neutral, I'd be happy to make it for you. Just let me know when you need it and I can set up a listing for you. 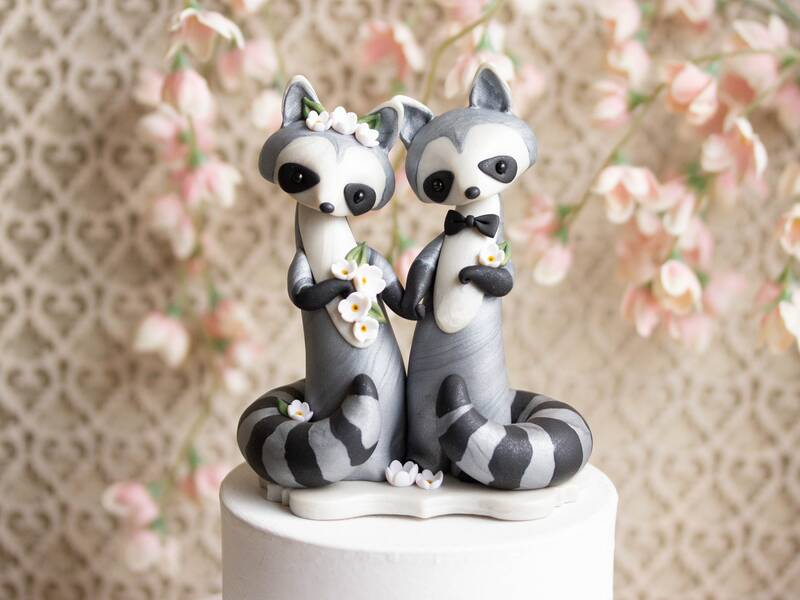 Beautifully, hand crafted - excellent quality! 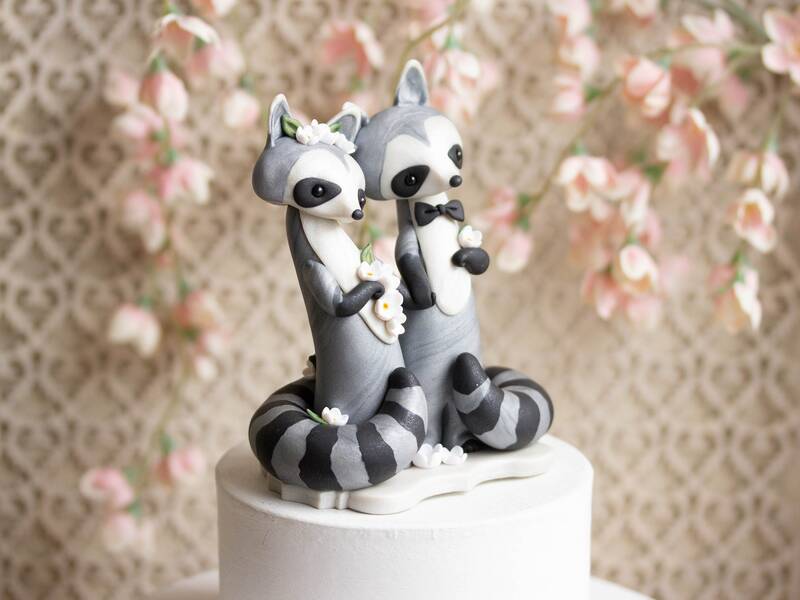 The raccoon cake topper is even more adorable in person. 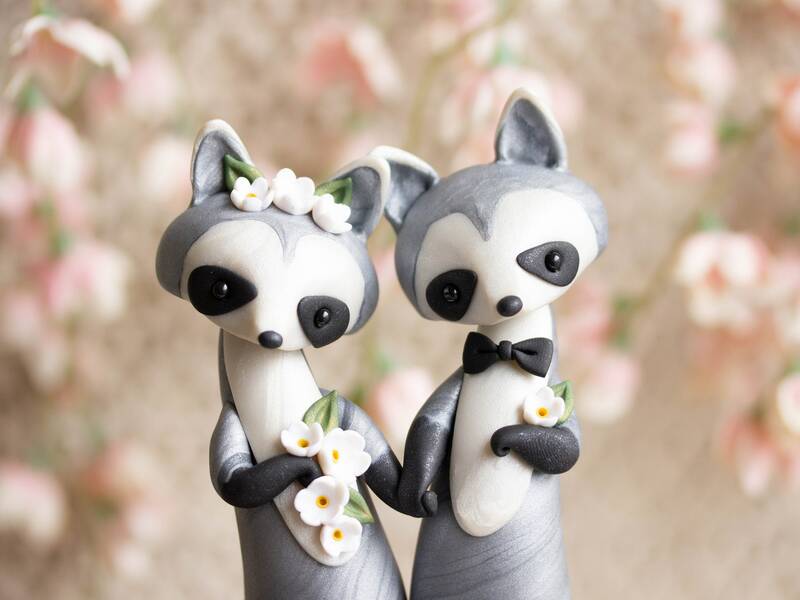 And super fast shipping + lovely packaging. So happy with this purchase. Thank you!